To enable the Cost & Usage Report (CUR), you need to establish a connection between AWS and CloudCheckr so that they can exchange billing data. If you haven't done so already, you need to first configure the CUR in AWS. If you have configured the CUR in AWS, read this article for instructions on how to configure CloudCheckr so that it can ingest data from the CUR. To ensure that CloudCheckr can import the CUR, you must first activate at least one Cost Allocation tag in AWS. After you enable the tag, you must wait for AWS to generate the next CUR (approximately six hours) before you can begin the CUR configuration in CloudCheckr. Otherwise, you will get an error. 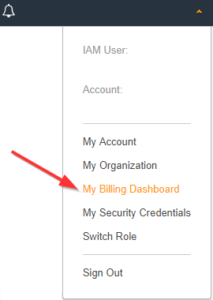 On the right side of the menu bar, click your account name, and select My Billing Dashboard. The Billing & Cost Management Dashboard opens. 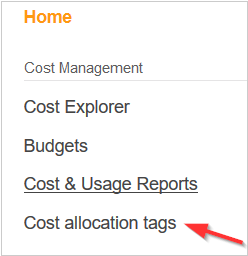 From the dashboard, click Cost allocation tags. The Cost Allocation Tags page opens. Select the checkbox(es) next to the tags you want to activate and click Activate. From the left navigation pane, choose Account Settings > Cost and Usage Report. The Edit Cost and Usage Report Configuration page opens. Select the Enabled check box to indicate that you want the application to use the CUR.